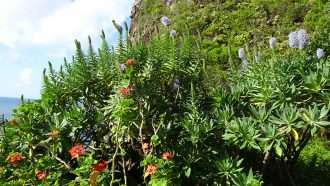 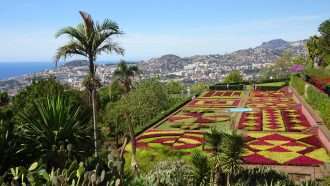 Known as the flower island, walking in Madeira offers a versatile scenery and a pleasant climate all year round. 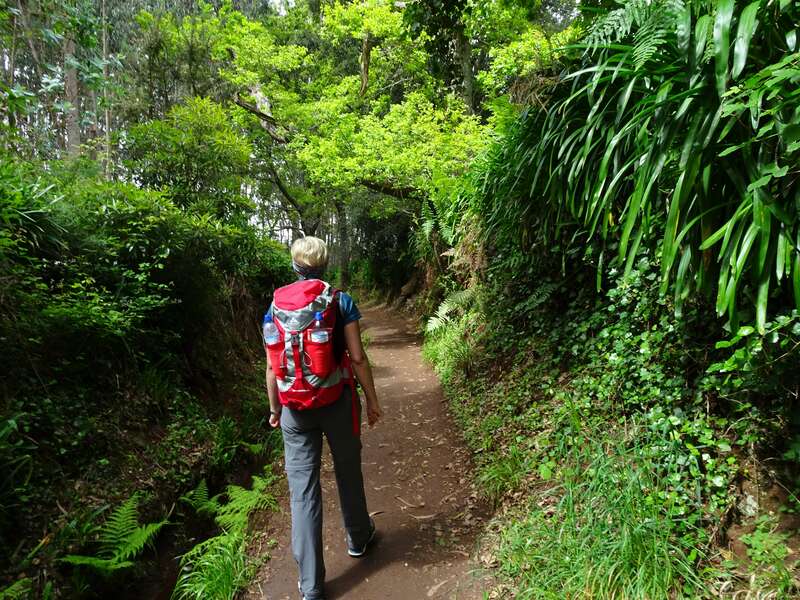 On our Coastal and Levada Trails of Madeira walking holiday you will follow Madeira’s unique network of narrow irrigation channels known as levadas, and its ancient coastal footpaths. 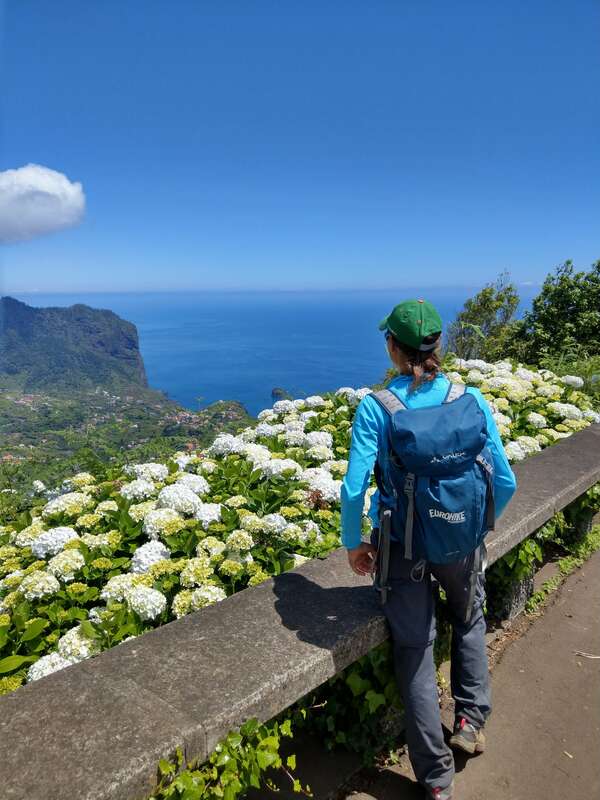 This walking holiday in Madeira incorporates some of the best hiking trails on this beautiful volcanic island, located in the Atlantic ocean. 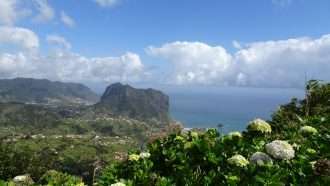 The dry east, the cool north, the barren mountains, the moist high plateaus and the sunny south all invite you to come and explore this wonderful island. 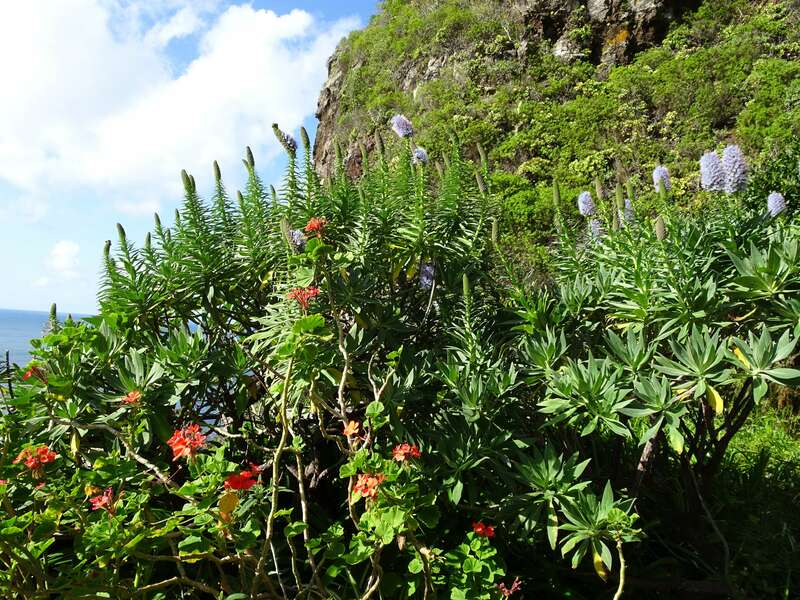 All year long, there are different flowers and trees blooming at different altitudes. 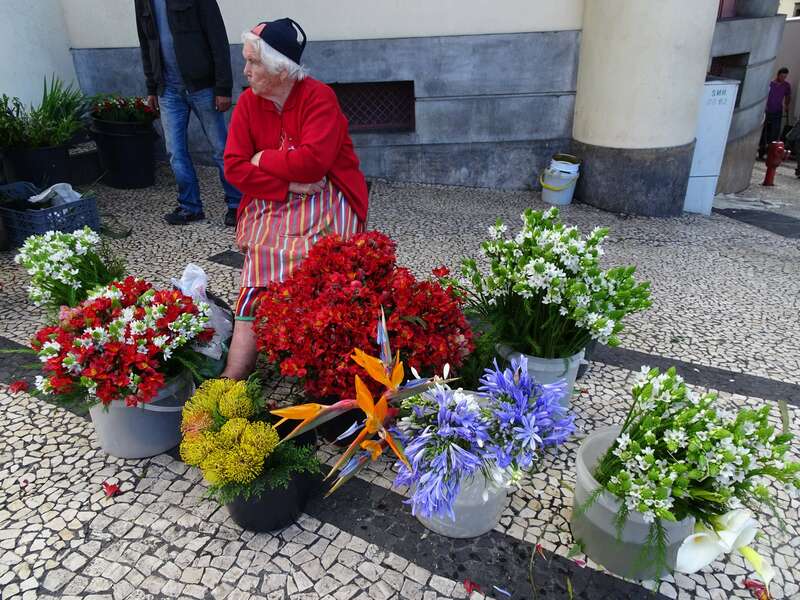 The friendly locals invite you to get to know their country and their culture. 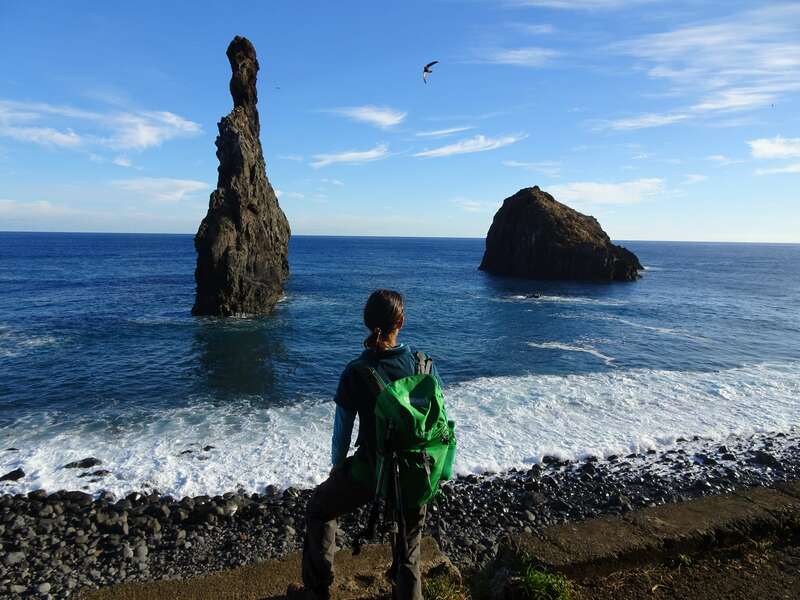 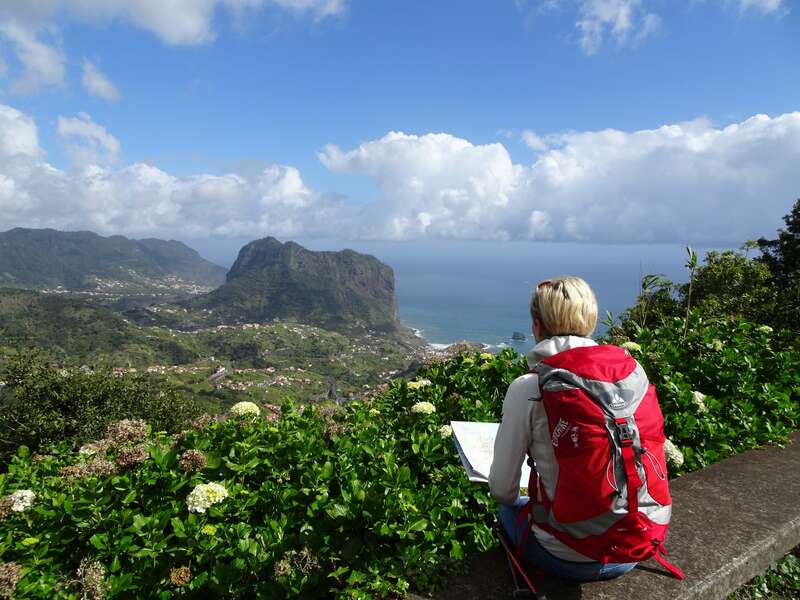 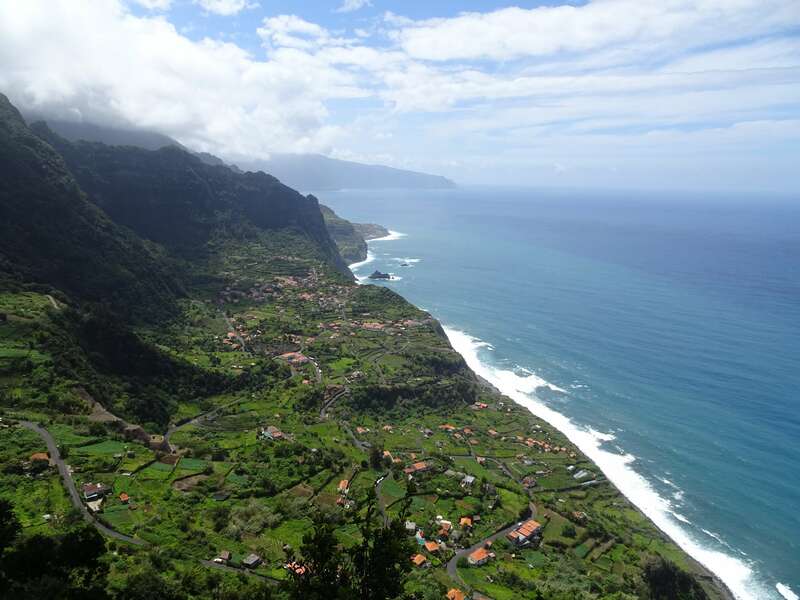 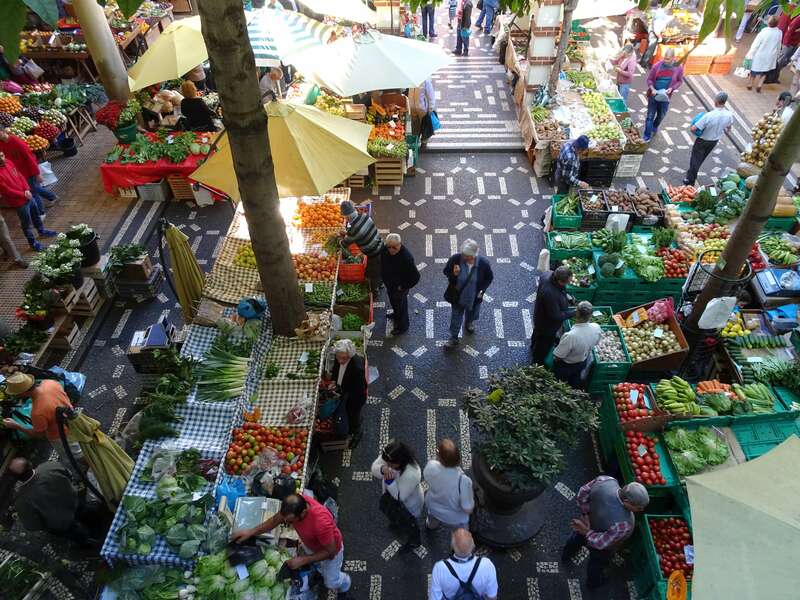 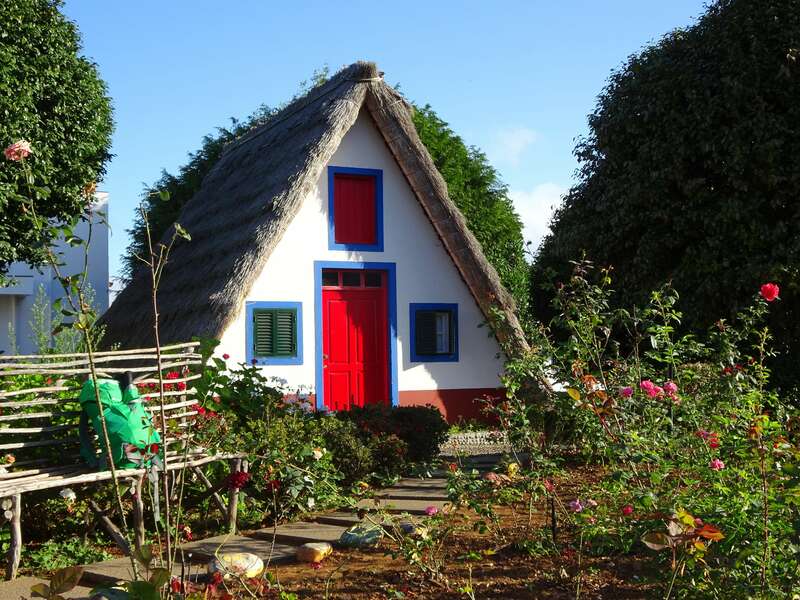 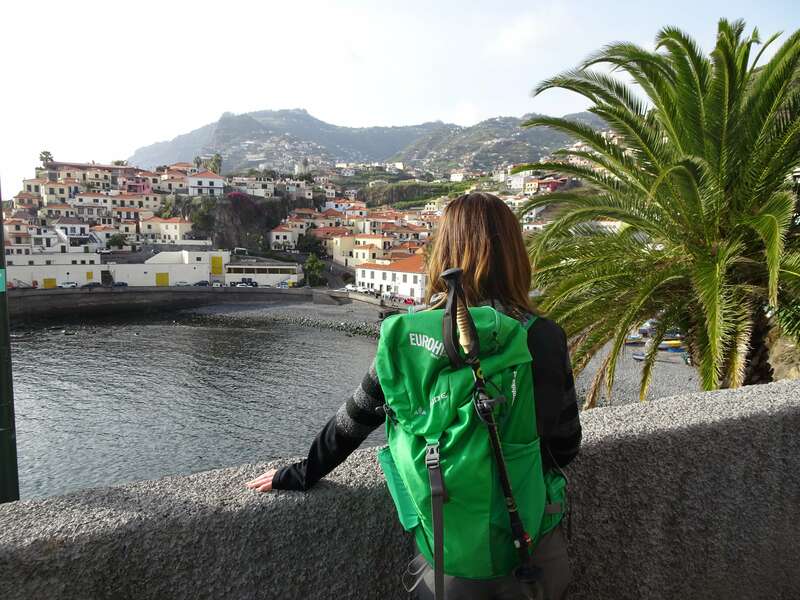 Discover the various faces of the island on this walking holiday in Madeira! 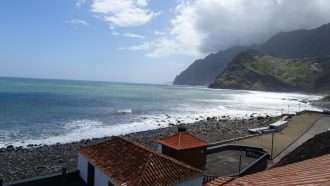 Depending on arrival time, you can relax on the black sandy beach in the small fishing village of Porto da Cruz. 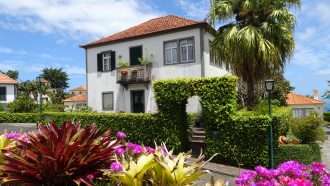 You can visit one of the last remaining sugar mills where you can try the popular Poncha – a local drink made from sugar cane liquor, honey and freshly squeezed orange juice. 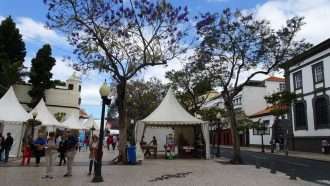 You will start today’s stage in the traditional town Santana, which is famous for the unique architectural style of its houses. 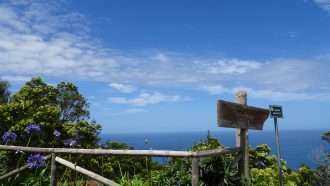 Accompanied by amazing panoramic views, you ascend from the wild coastline, further upwards past small fruit gardens and vineyards, until you reach a spectacular viewpoint. 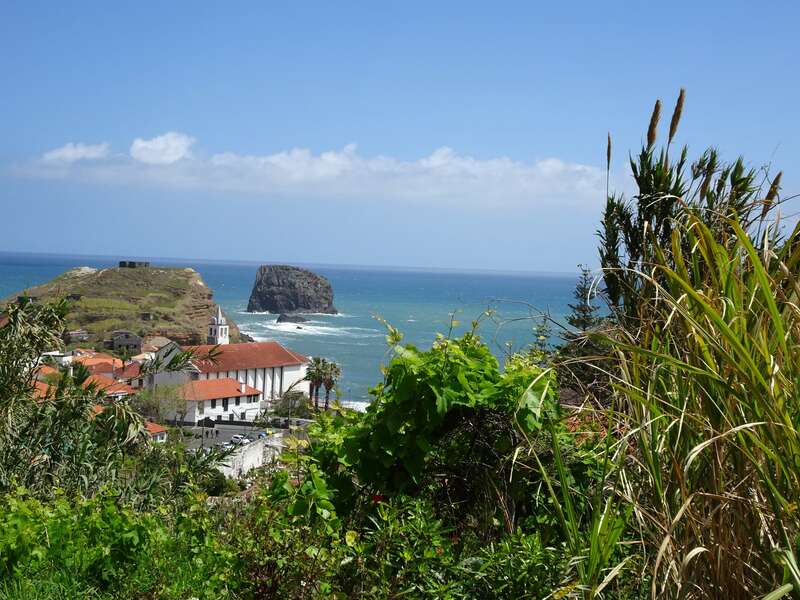 From there you can see across the entire northern shore stretching from Porto Moniz to Ponta de Sao Lourenco. 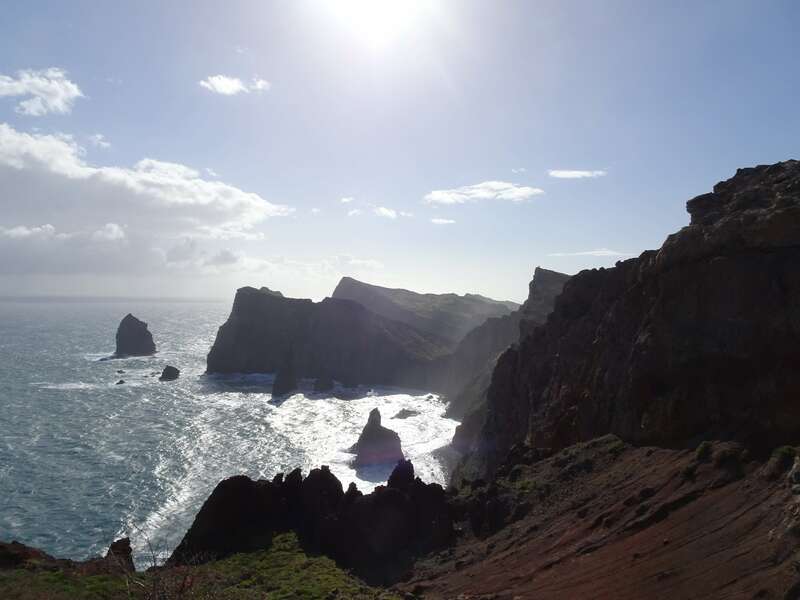 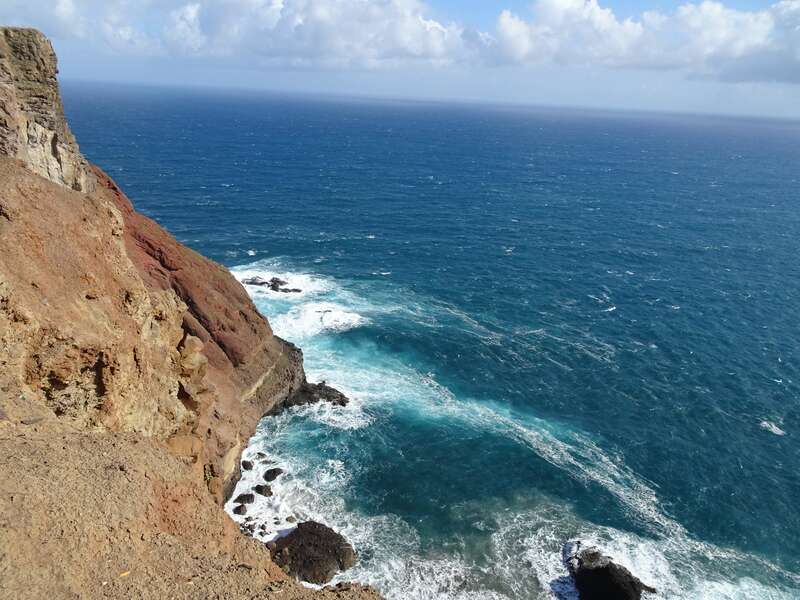 If the weather is good, you will also be able to see the neighbouring island of Porto Santo, which is located north of Madeira. 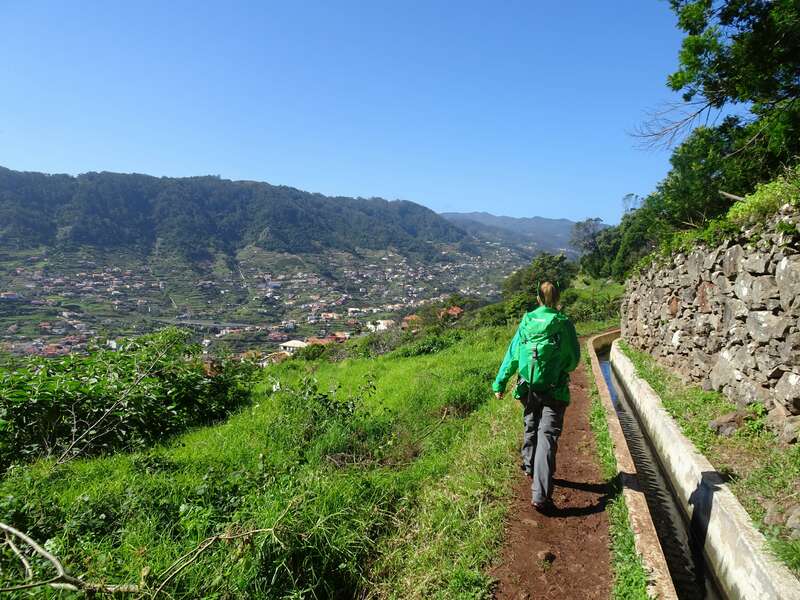 The stunning King’s Levada then leads you through jungle-like vegetation to the waterfall and springs of Ribiero Bonito. 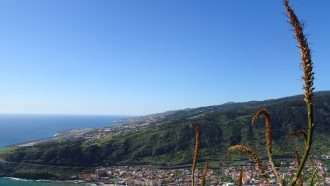 Walking for the day: approx. 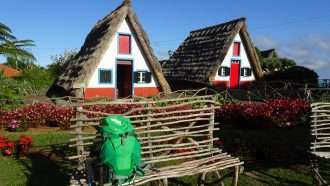 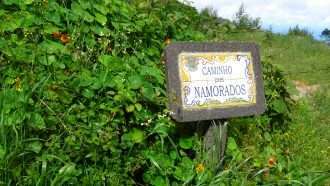 4.5 to 5 hours, 15 km, ­ ↑650 m ↓150 m.
Transfer to the Paul da Serra high plateau. 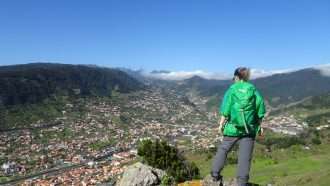 Today’s walk brings you closer to Madeira’s green mountains. 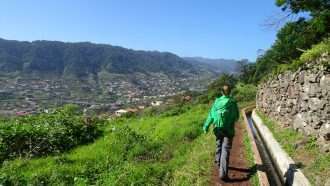 You will walk along high-altitude paths rich in spectacular views, through shady laurel forests, which are a UNESCO world heritage site. 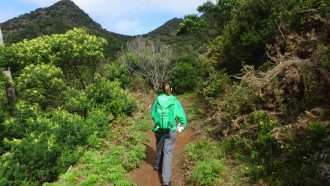 An amazing hiking trail takes you through colourful blooming broom bushes to Fanal, a fairytale-like wood forest and pasture area: crooked trees, green meadows and grazing highland cattle create a mystical atmosphere. 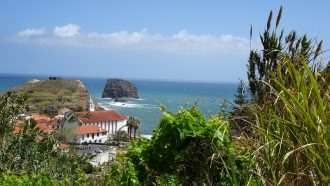 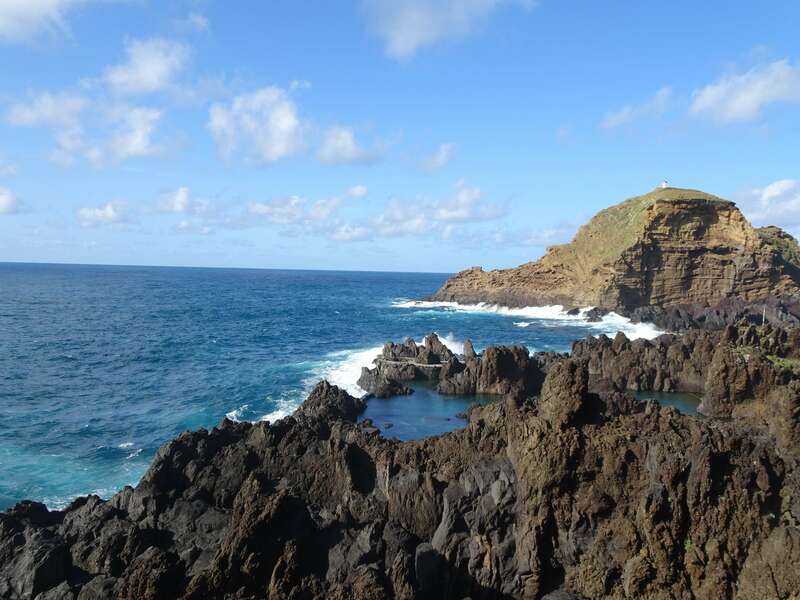 In the afternoon you reach the coastal village of Porto Moniz with its wonderful views at the blue sea. 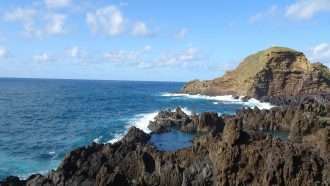 This charming place is well-known for its natural swimming pools, which were formed by the ocean in the black lava rock. 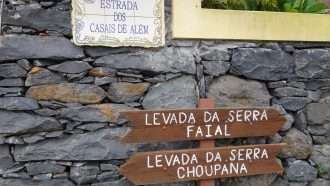 Walking for the day: approx. 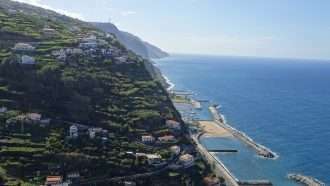 3.5 to 4 hours, 11 km, ­ ↑150 m ↓350 m.
Today you will walk along the south west coastline via green hills, which steeply drop into the sea. 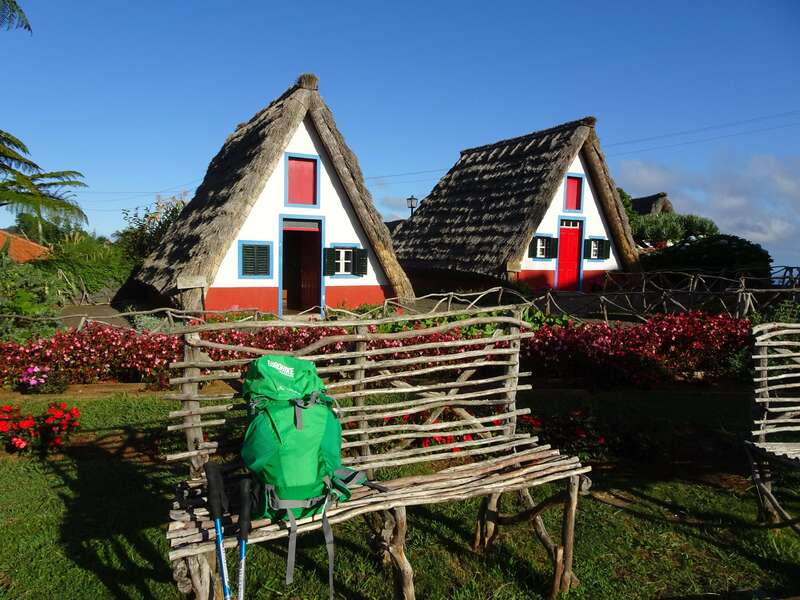 In this part of the island you will discover the original way of life of its habitants. 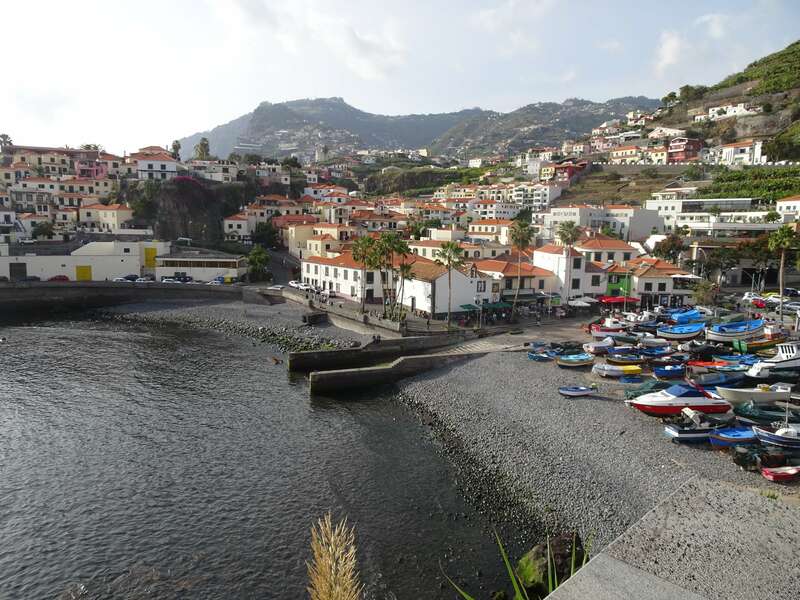 Prazeres is known as one of the loveliest villages of the Madeira island. 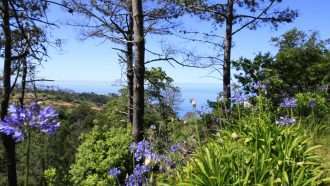 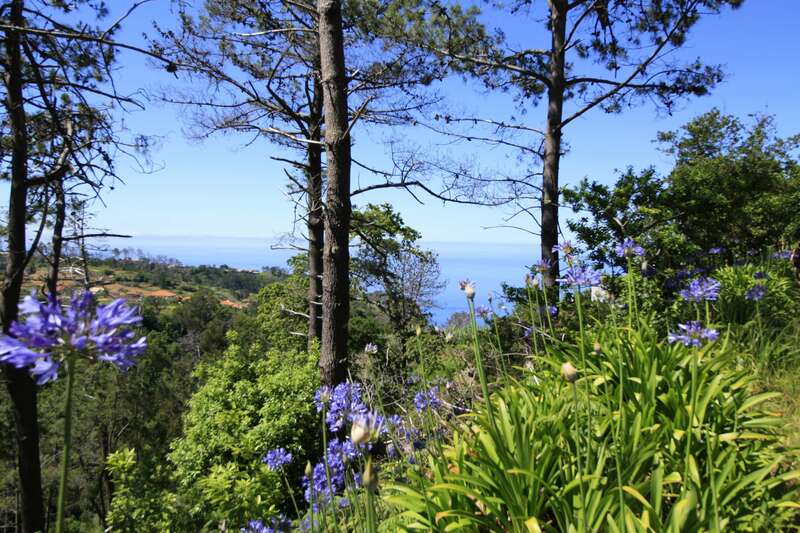 On your walk through fragrant eucalyptus forests, you will keep seeing Callas, Amarryllis and Agapanthus growing wildly. 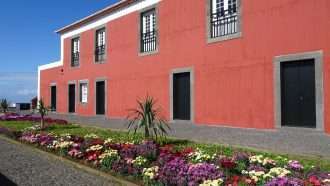 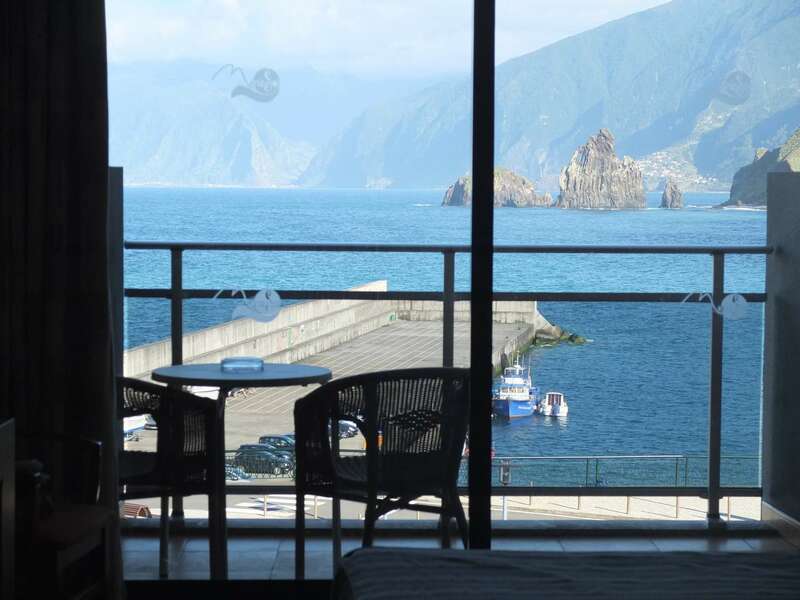 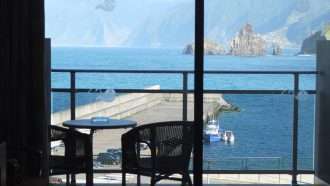 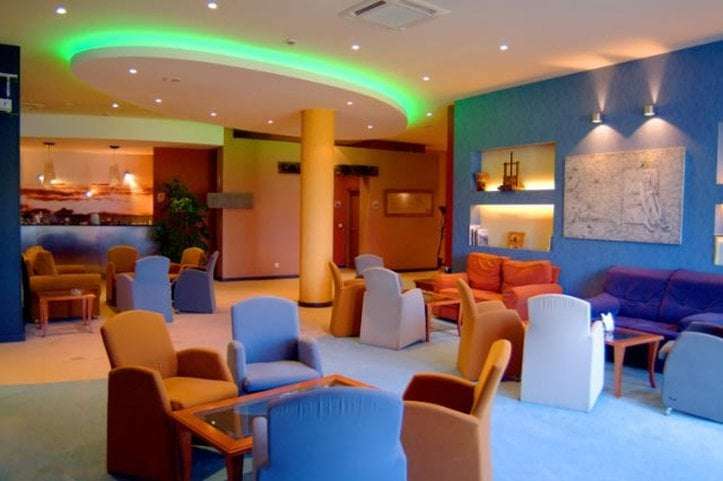 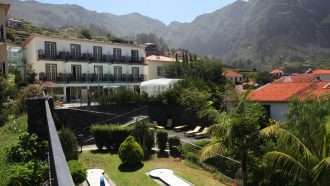 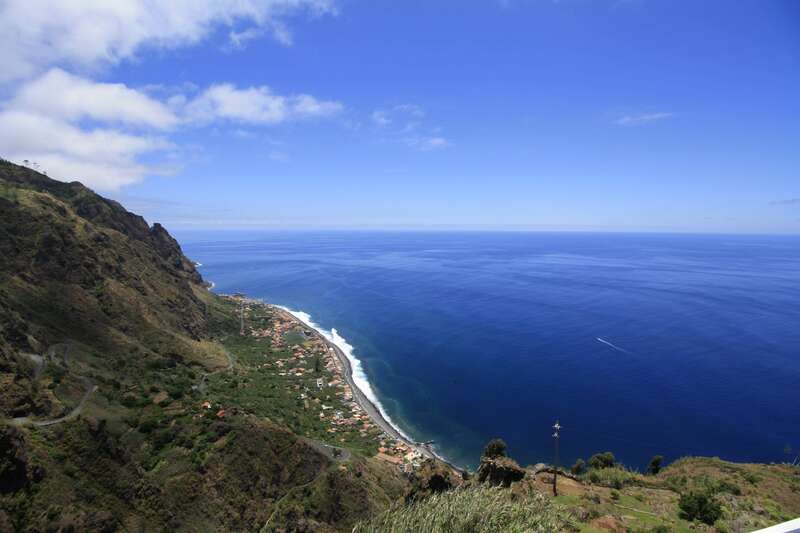 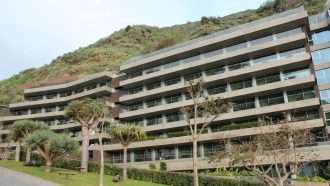 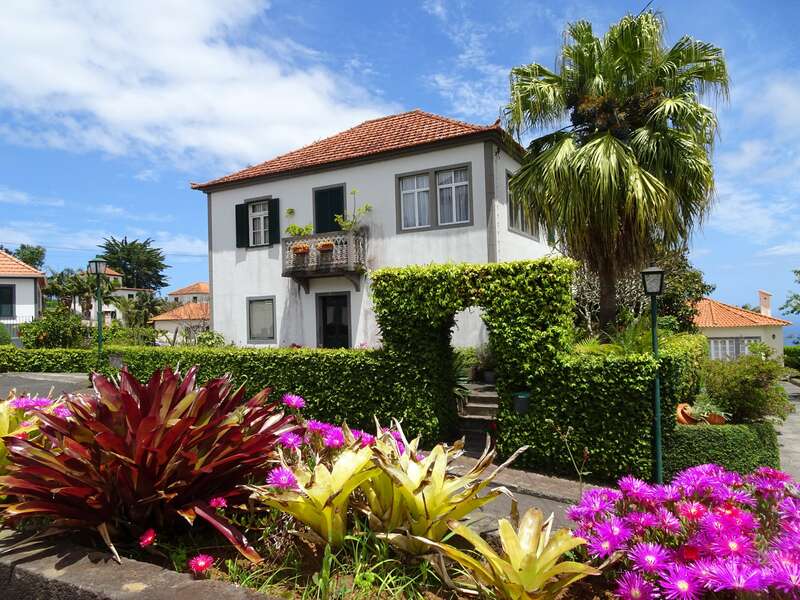 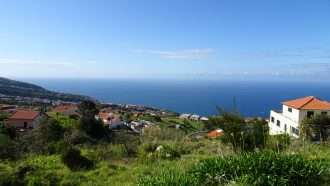 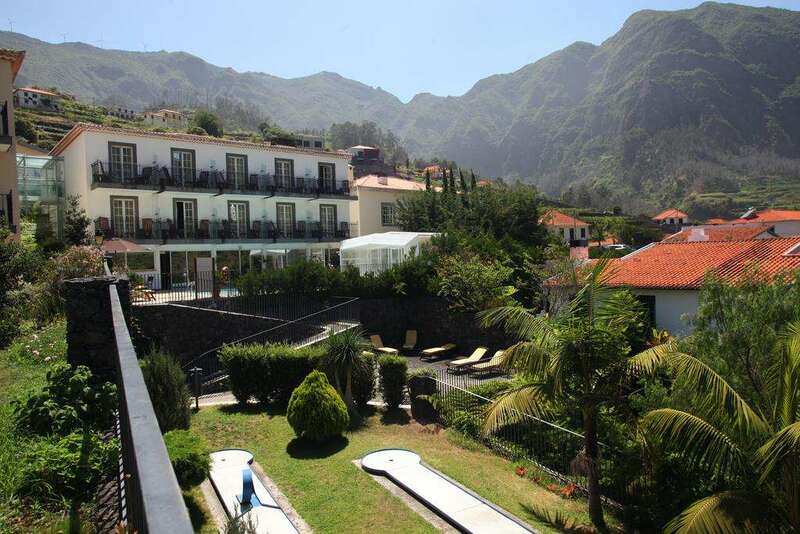 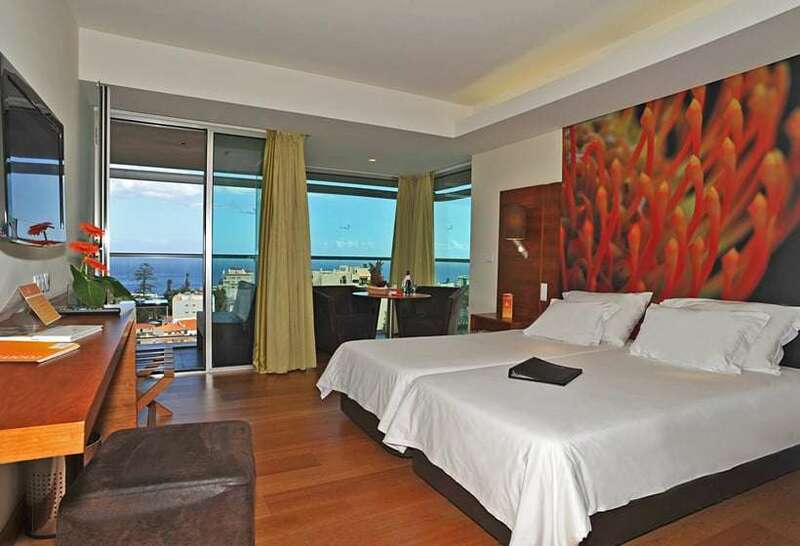 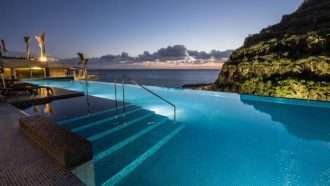 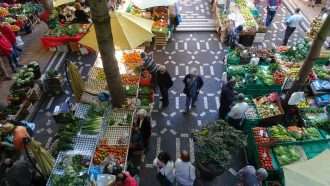 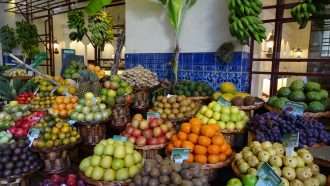 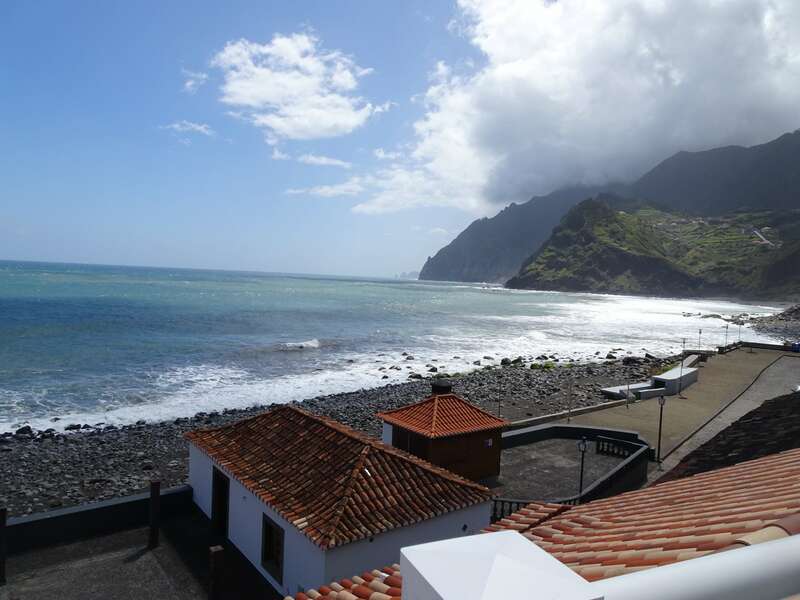 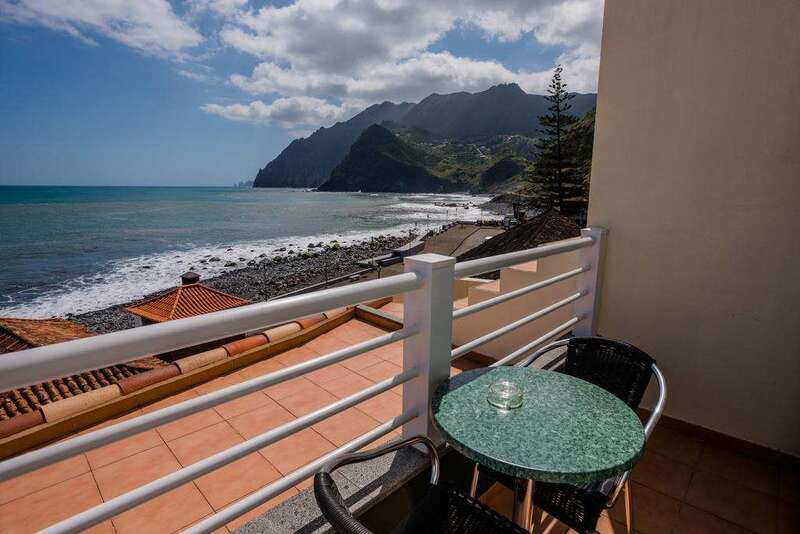 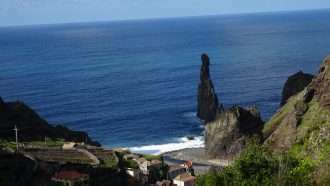 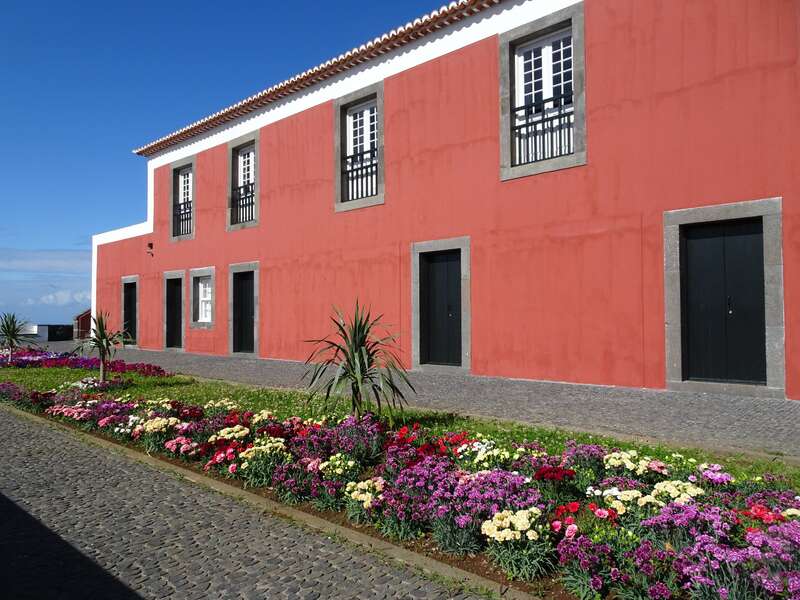 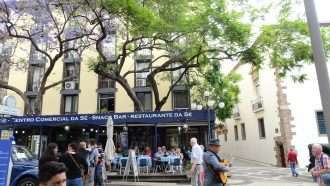 You will stay overnight in the lively coastal village of Calheta. 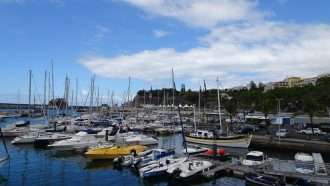 It has a fine sandy beach and an elegant marina. 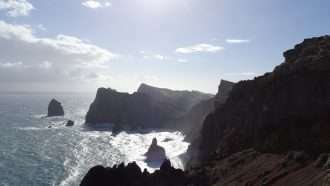 Walking for the day: approx. 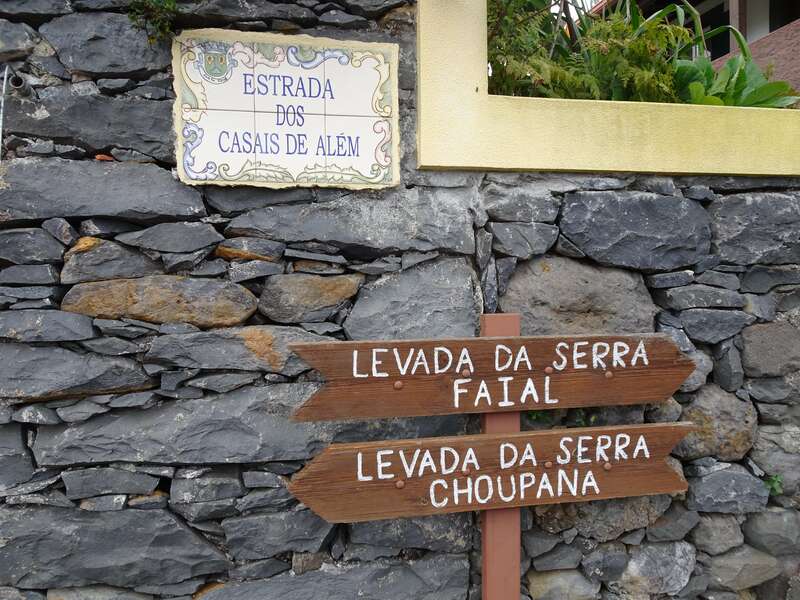 4.5 to 5 hours, 17 km, ­ ↑50 m ↓650 m.
Short transfer along the southern coast before you set off up to Levada do Norte from where you will get amazing views. 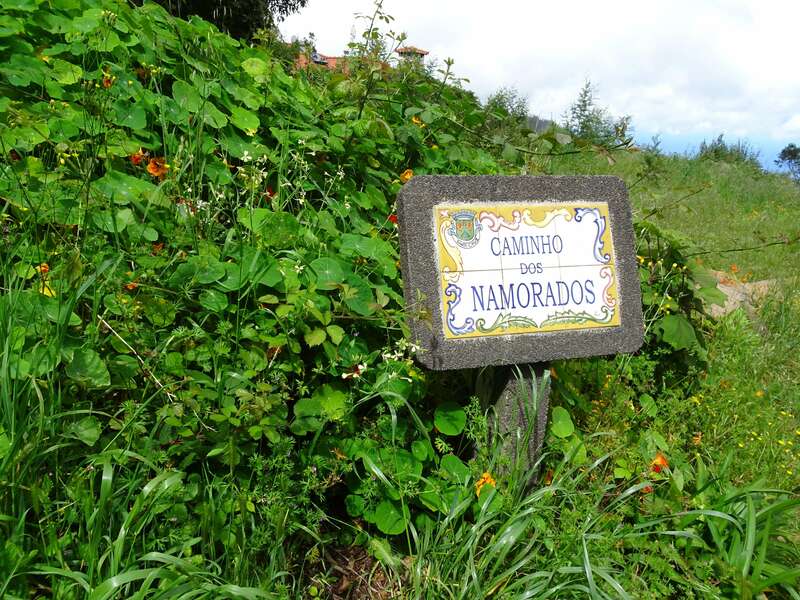 It is also the longest and widest Levada in the south. 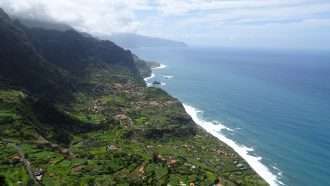 You will walk along typical farmed terraces and small villages like Quinta Grande and Campanario to the Cabo Girao viewpoint. 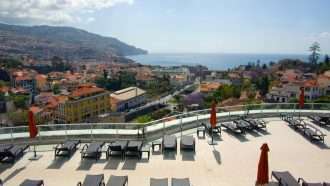 This is the highest sea cliff in Europe, revealing fantastic views of the terraced fields below you and of the coastline as far as the capital, Funchal. 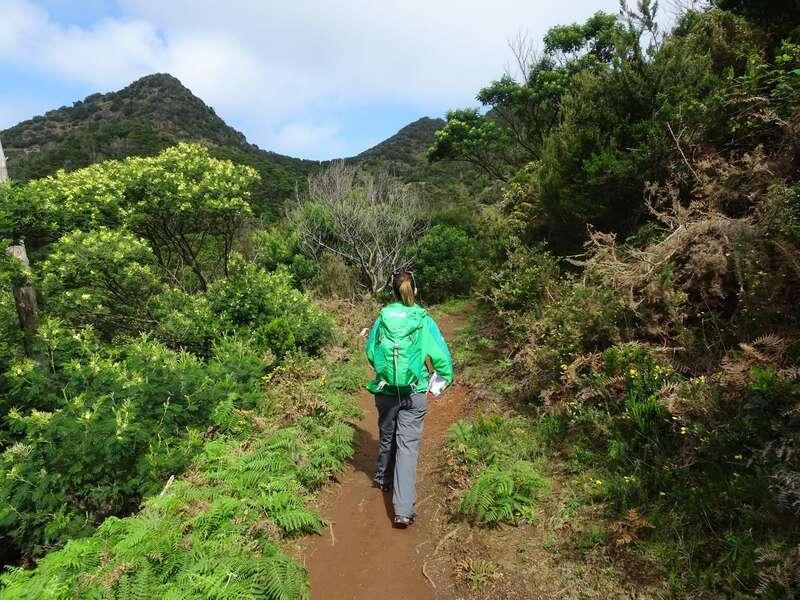 Walking for the day: approx. 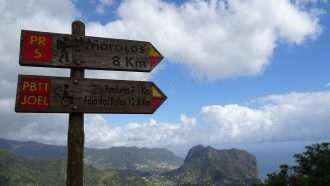 5 hours, 15 km, ­ ↑250 m ↓150 m.
You reach by cable car the pilgrimage site of Monte, situated high above Funchal. 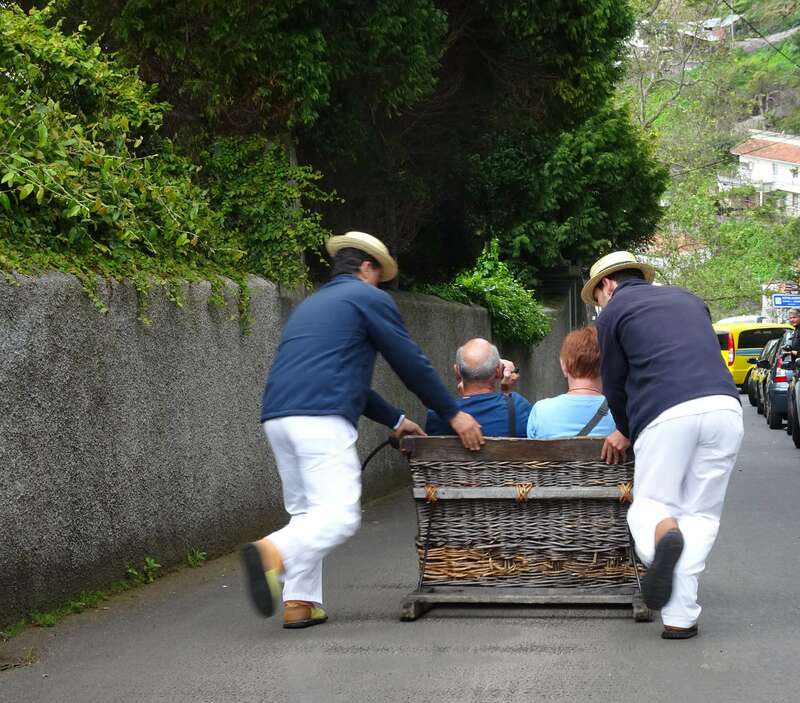 After a visit to the church Nossa Senhora do Monte, you can marvel at the fast wicker basket sledgers before embarking on your final stage. 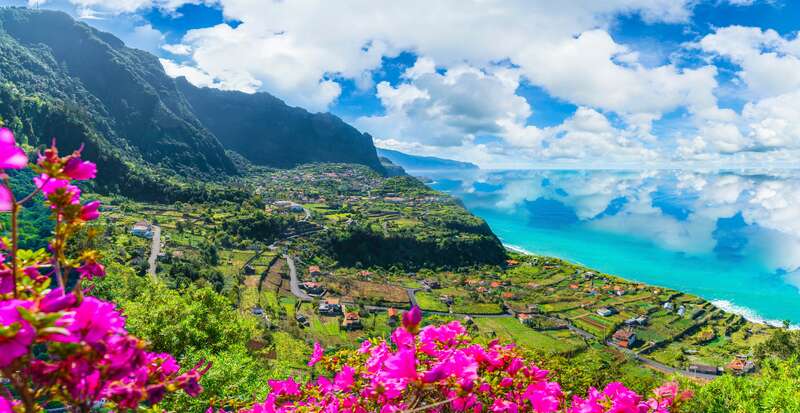 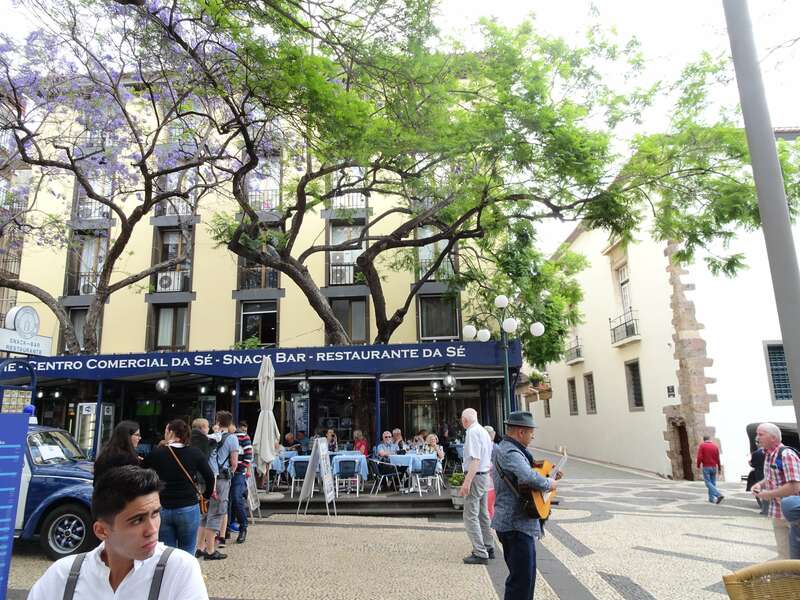 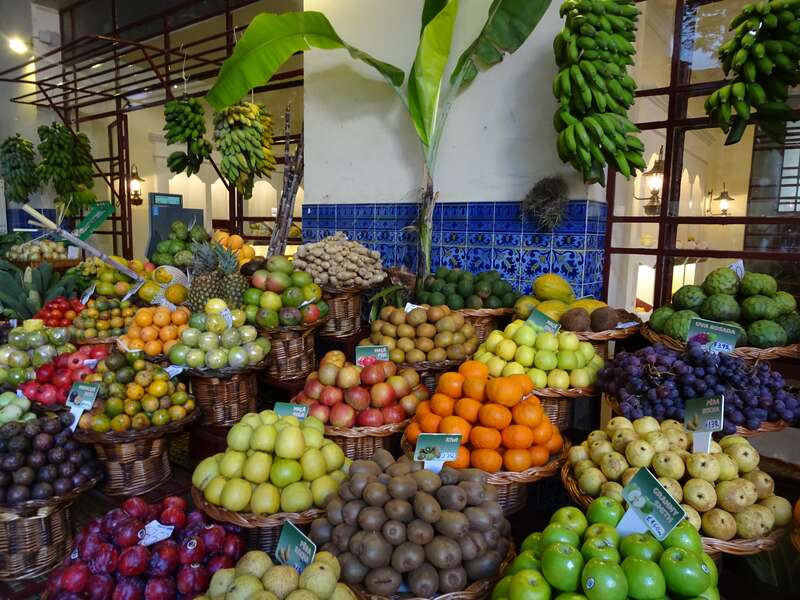 With a stunning view onto the coast of Funchal, the route leads you once again across subtropical island vegetation and back into the capital. 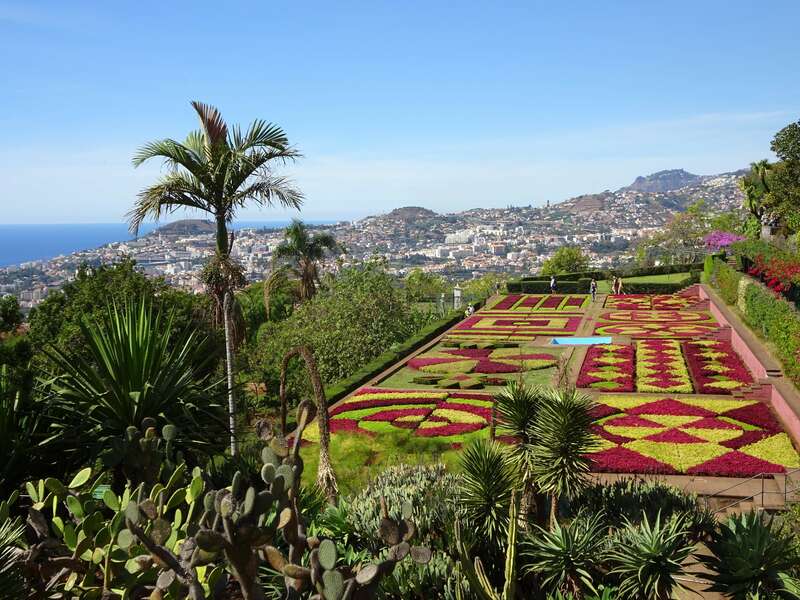 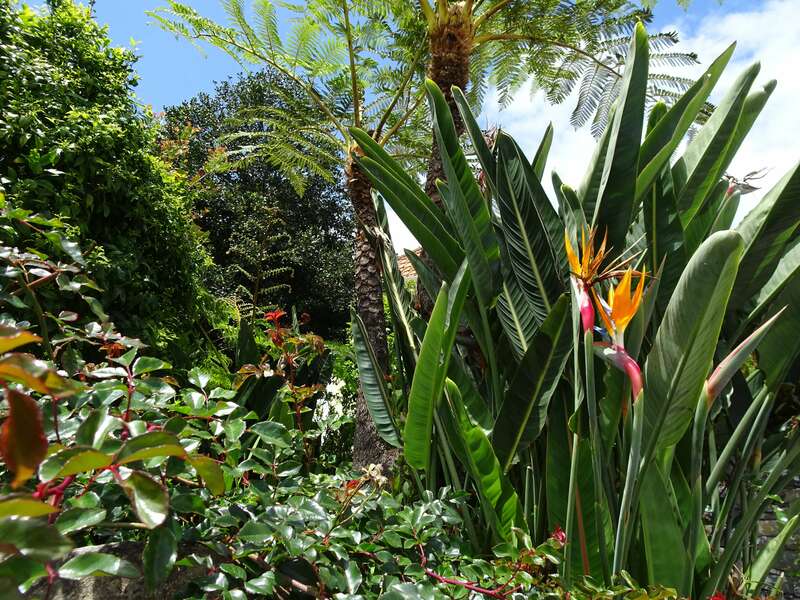 We highly recommend visiting the amazing botanical garden, giving you an understanding of the exotic flora of the island on an area of 35,000 square metres. 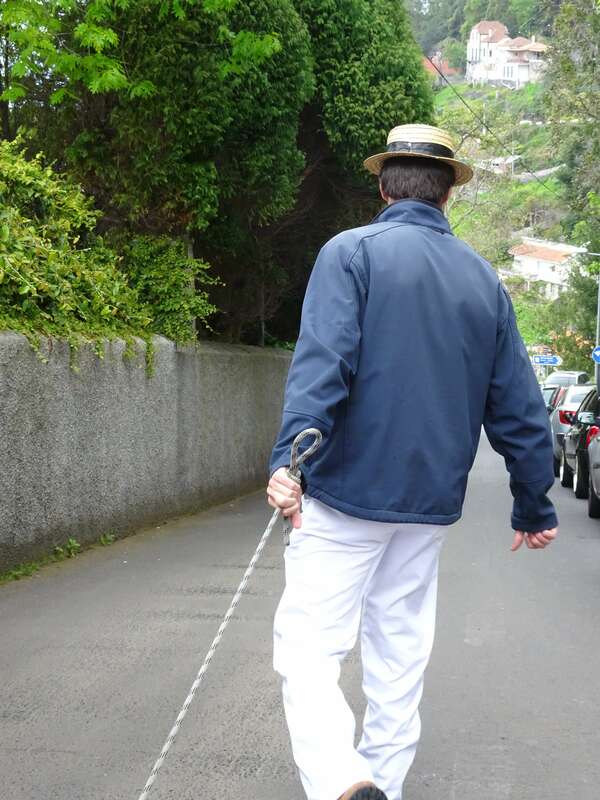 Walking for the day: approx. 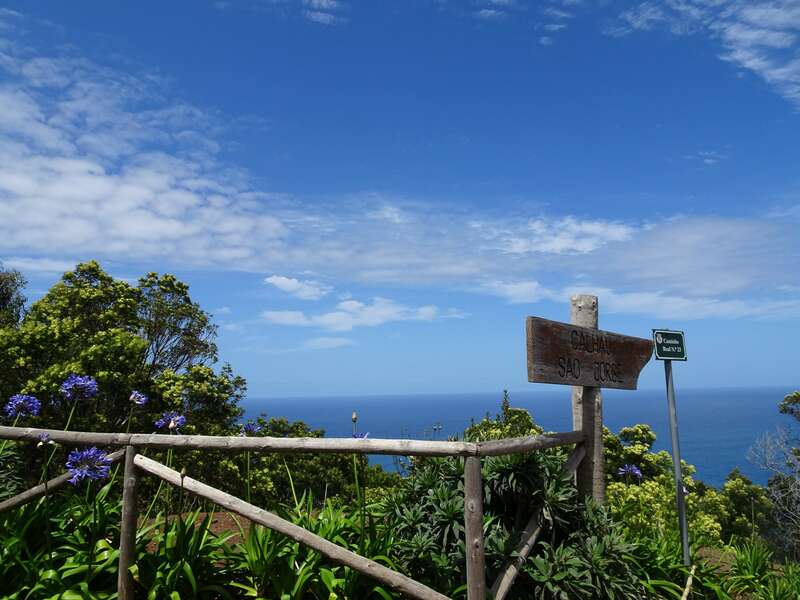 3 hours, 8 km, ↑100 m ↓550 m.
Departure or extension upon request. 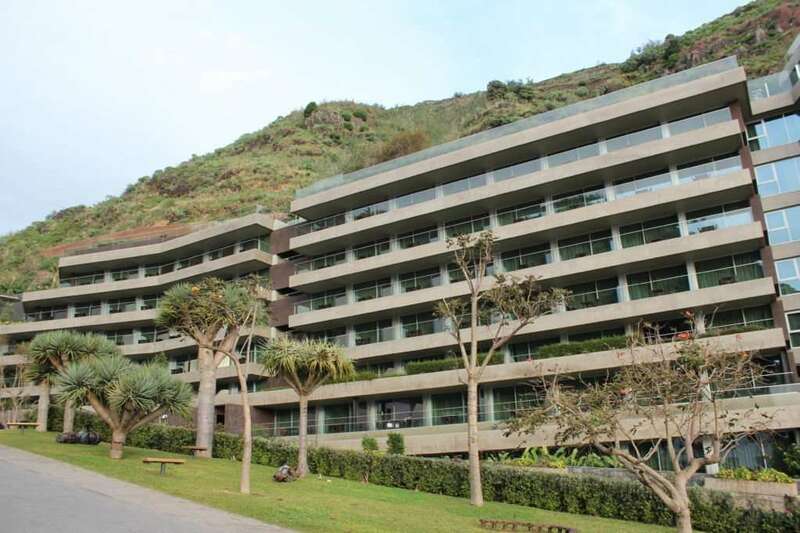 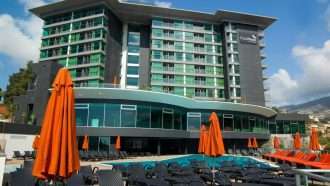 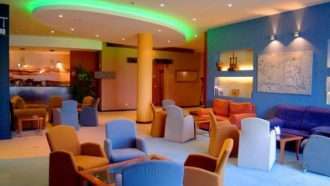 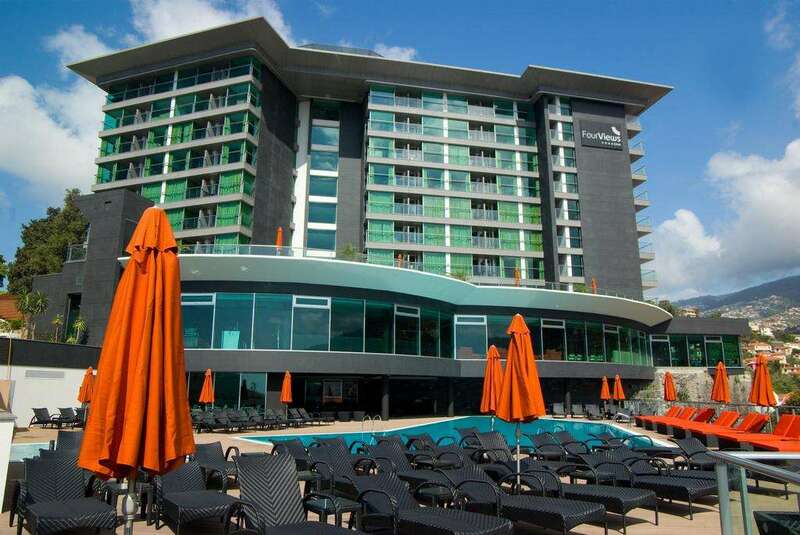 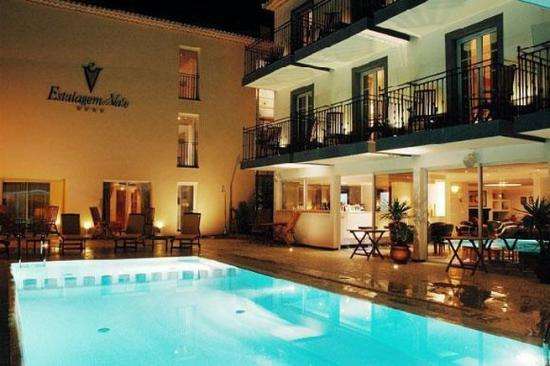 Accommodation is in 4-star hotels on five nights and 2-star family hotels on the two nights at Porto da Cruz. 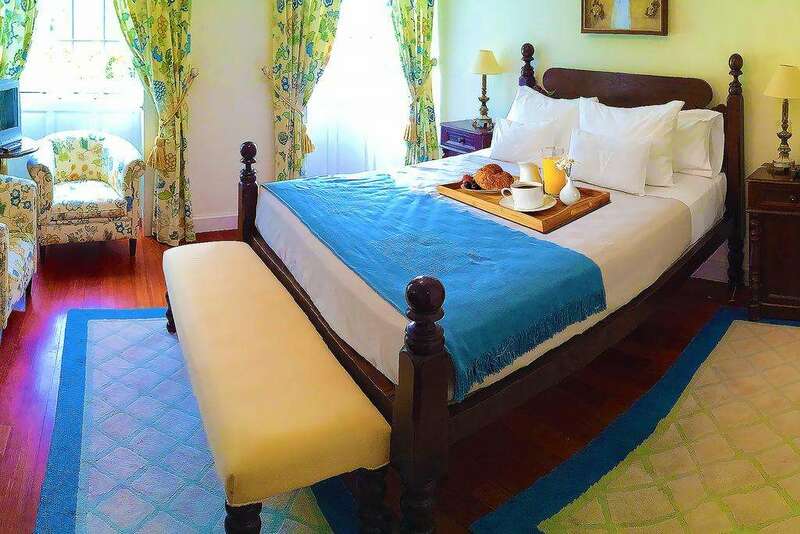 We have carefully hand-picked all places and regularly monitor their quality. 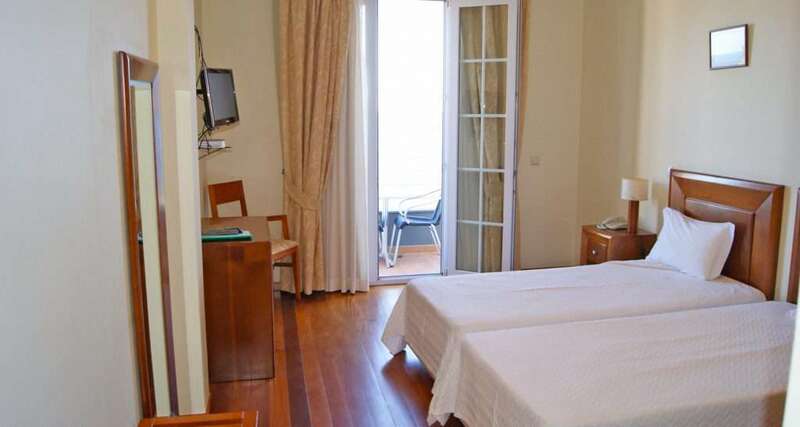 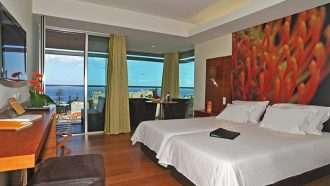 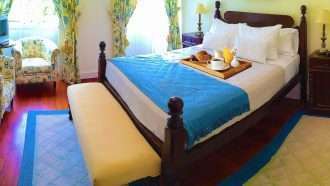 We have tried to choose accommodations that offer friendly service, clean and comfortable rooms and local flavour. 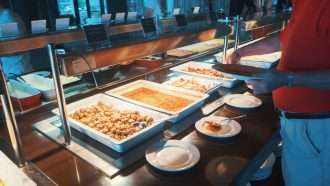 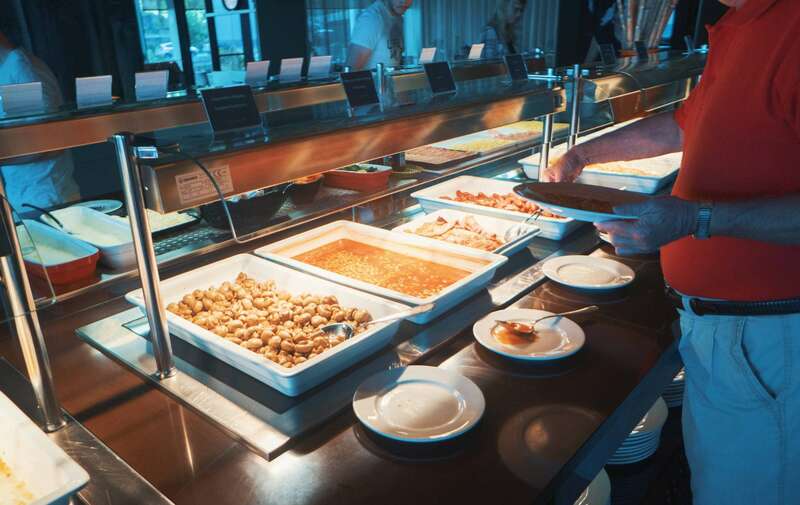 Breakfast is included every day. 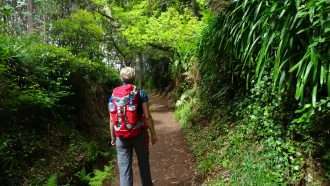 When no restaurant location is available on route, lunches and snacks should either be bought from local shops, or packed lunch can be pre-ordered from your hotel the night before. 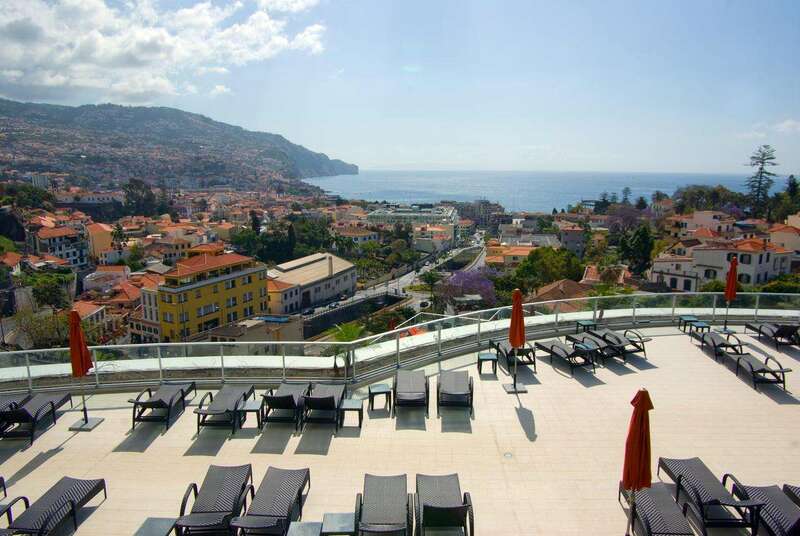 The return journey to Funchal airport from Funchal takes about 1 hour. 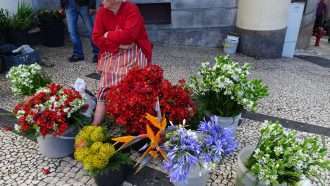 The taxi costs around EUR 30 and takes about 30 minutes. 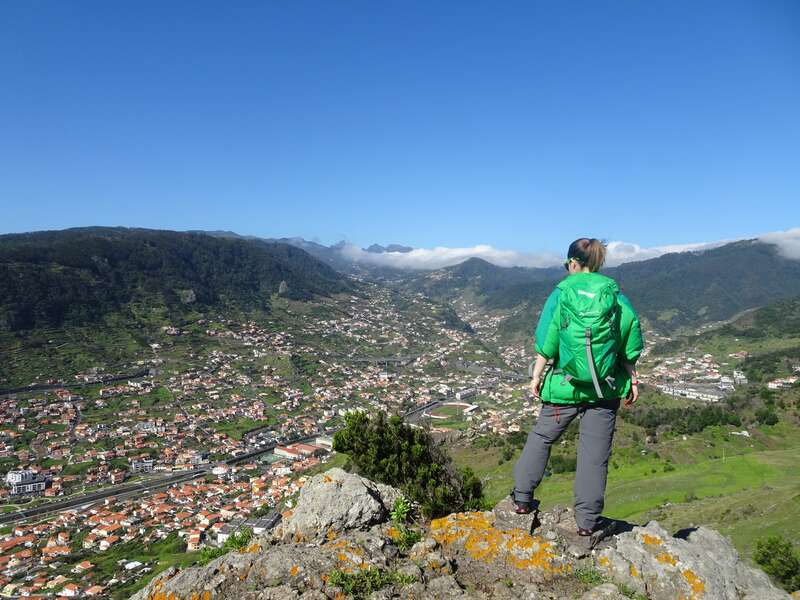 All hotel to hotel luggage transfers on walking days are included (maximum one piece of 20 kg per person). 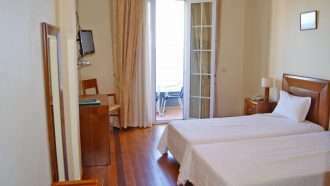 When arriving at hotels, sometimes your luggage will have been taken to your room awaiting your arrival. 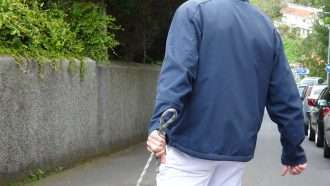 This holiday is appropriate for seasoned walkers and requires a reasonable level of fitness; average walking time is 4-5 hours per day (14-15 km). 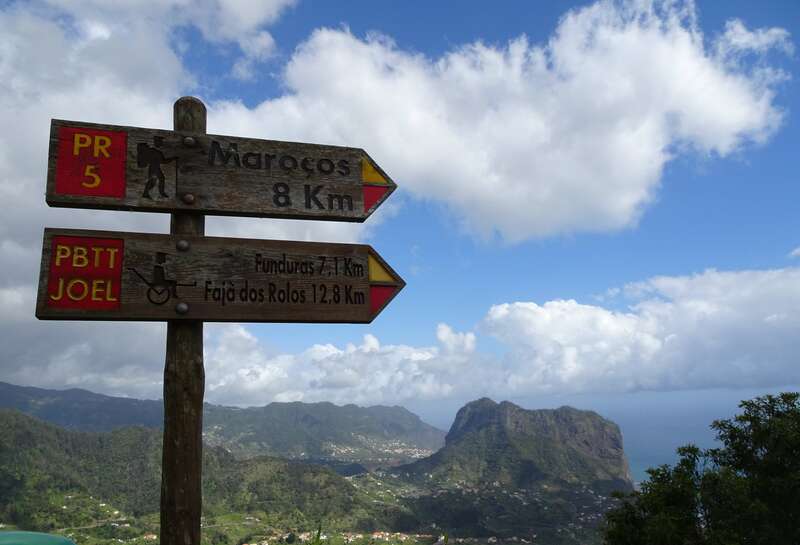 The daily routes run along well-built and very diverse paths, which can however sometimes be quire narrow. 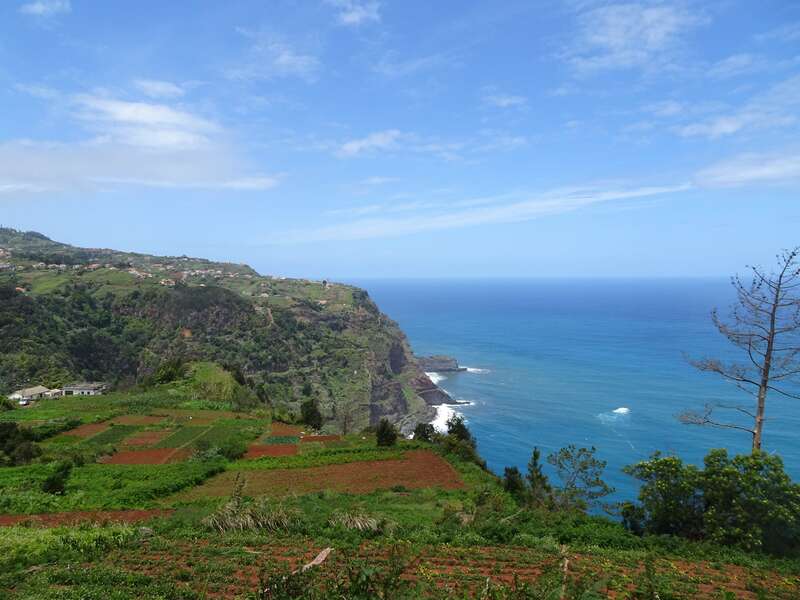 Lots of paths run along the coastal cliff edges and also along Levadas (irrigation canals), where a head for heights and firm-footing are essential in some sections (read more about difficulty grades). 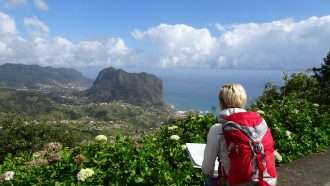 The routes are on waymarked paths and trails and you will be also provided with all the information and GPS tracks necessary to navigate you. 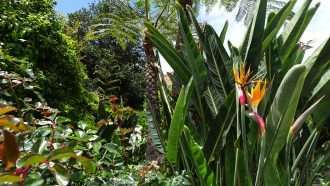 You can also call our 24/7 local assistance phone number anytime if you need assistance. 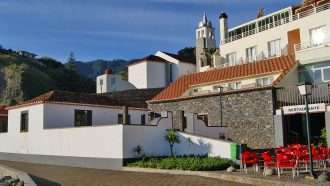 This trip is available during the whole year (between 5 January and 14 December), and departures are possible on Tuesdays, Thursdays and Saturdays only. 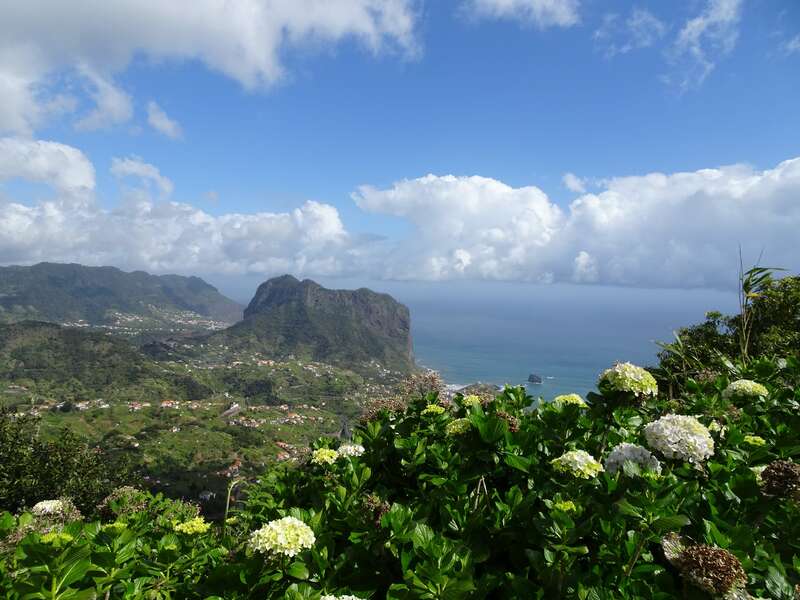 Due to its mountainous topography, the island has diverse microclimates. 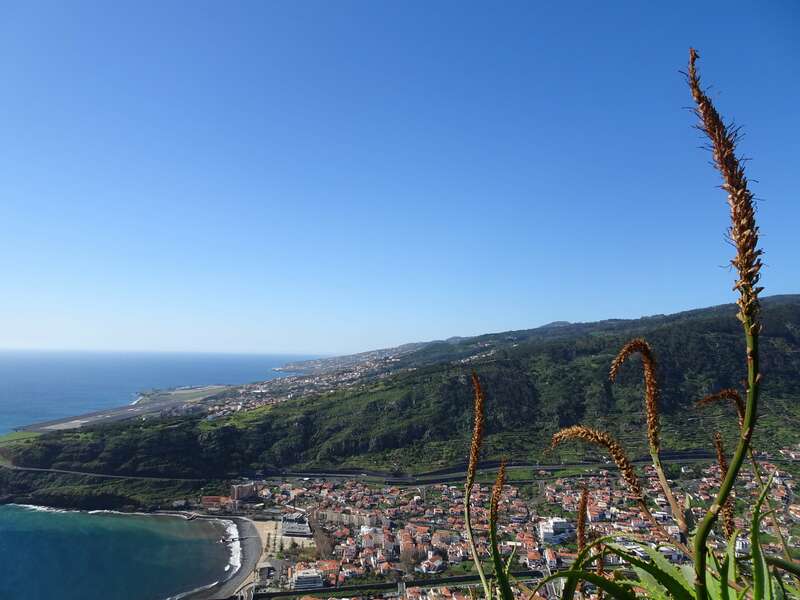 The difference in altitude makes it possible in winter to find snow on the top of the mountains, as in Pico do Areeiro, but sunny weather and 23 ºC at sea level or below the ‘banana line’. 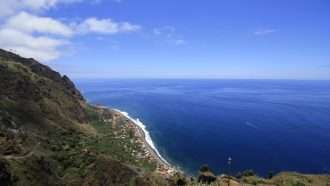 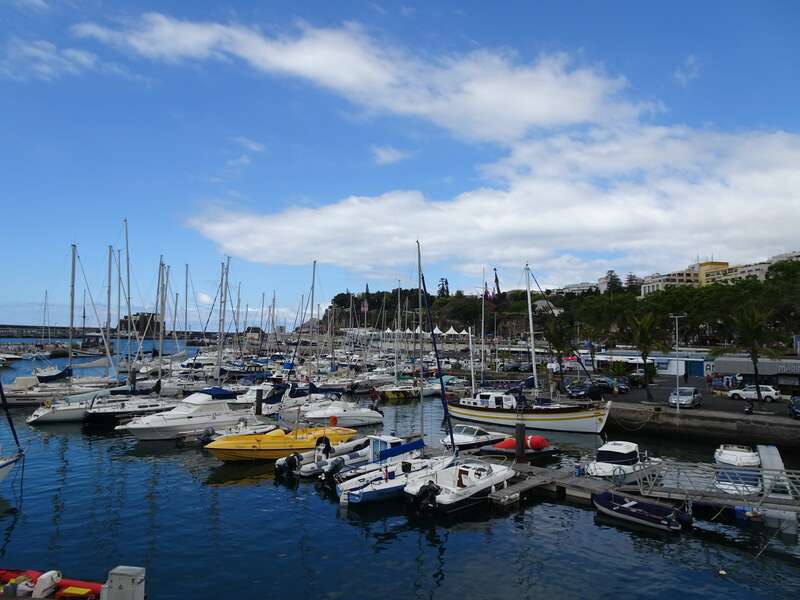 The bay of Funchal, protected by the highest peaks, enjoys the most sunshine. 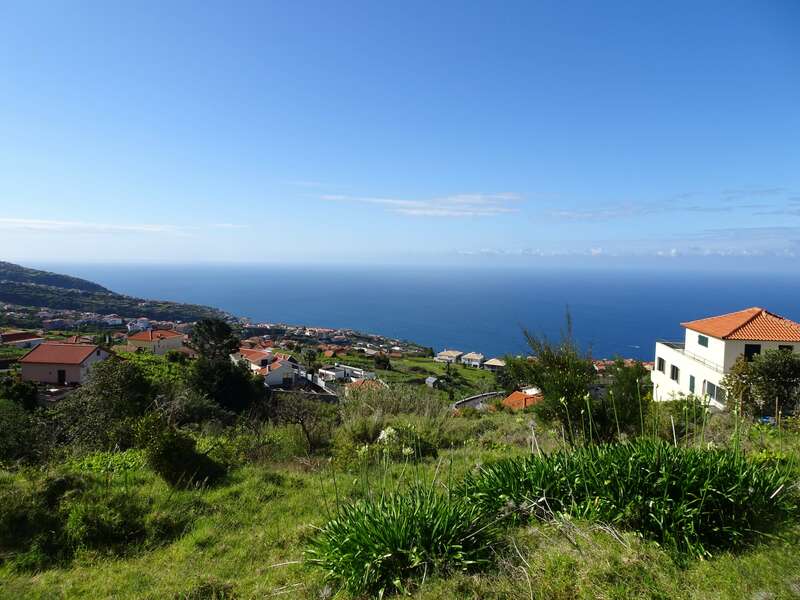 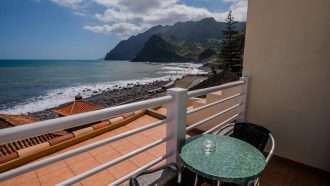 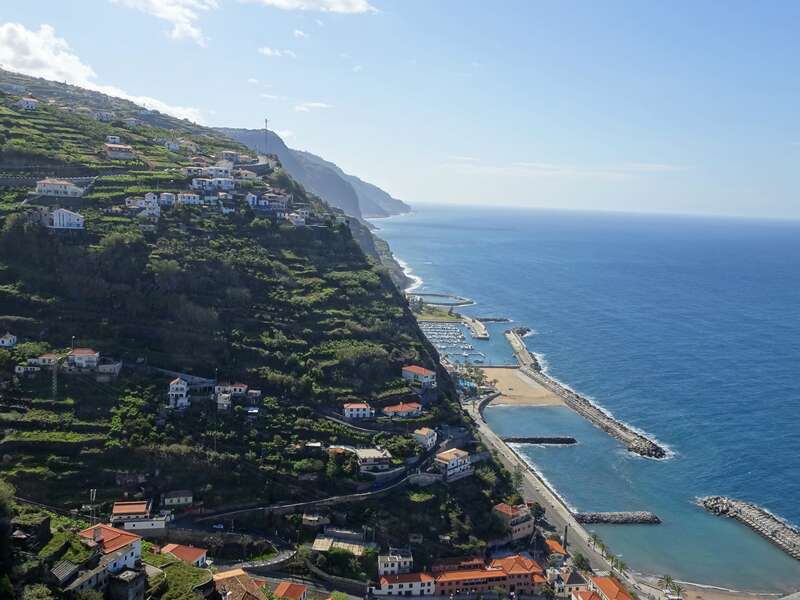 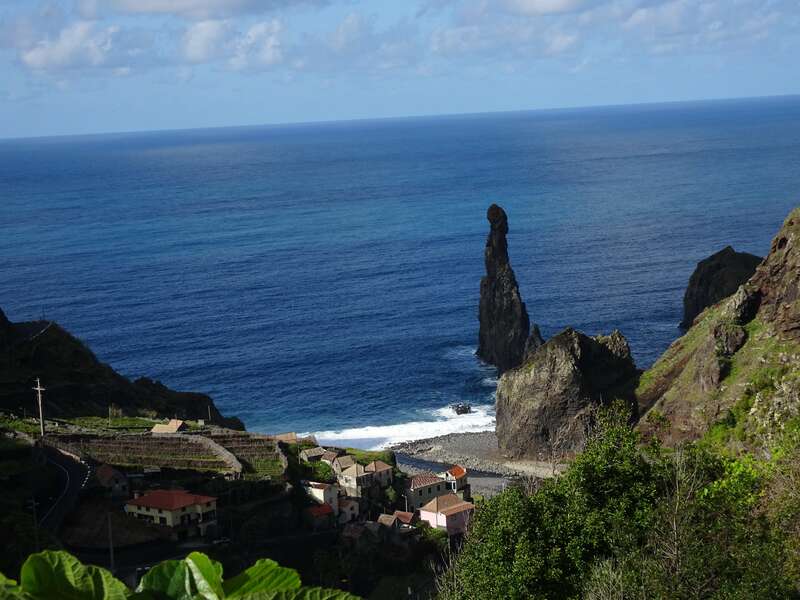 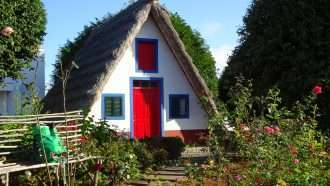 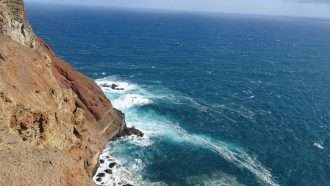 Further down the south west coast, at Ribeira Brava, Ponta do Sol, Madalena do Mar, Calheta, Jardim do Mar and Paul do Mar, backed by the lower hills of Paul da Serra, the sun shines brighter during the summer months, and it’s sunny and pleasant throughout the winter. 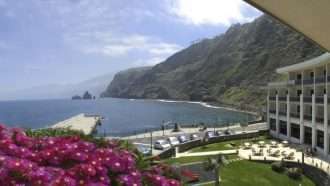 When we booked in late 2018 it was the first year TNAC were offering this trip and we were a little nervous. 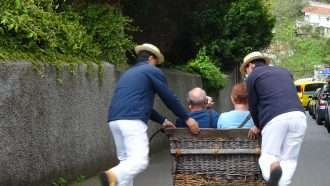 But everything went very smoothly. 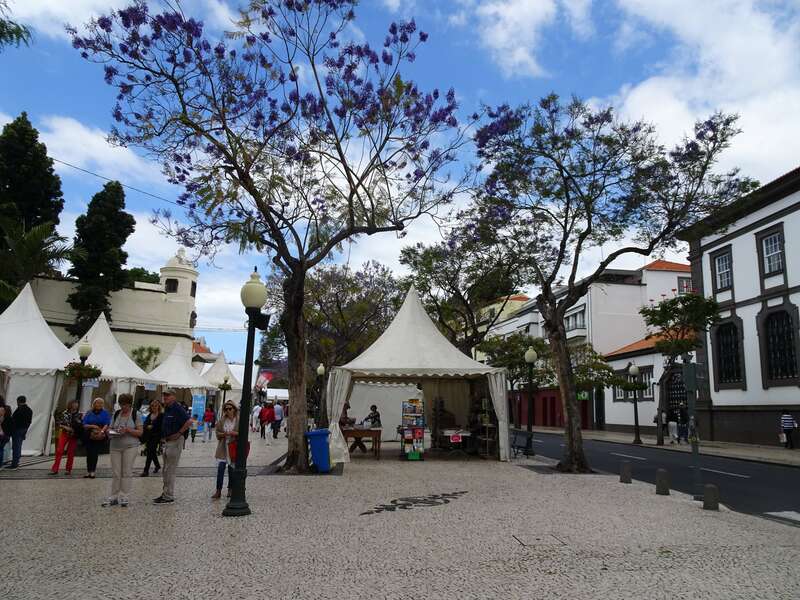 They provided the materials by email well in advance so we had time to accommodate ourselves with the walks and ask some questions which were promptly answered. 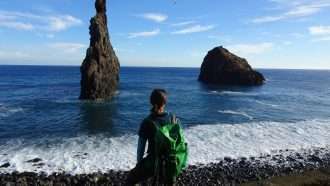 Difficulty was as advertised.